The list of problems caused by landfills seems to keep getting longer, day by day. As does the growing frustration of those of us who are concerned about the environment. We've come a long way with many recycling initiatives. With large cities making big strides to become zero waste, to large beverage companies recycling water. And recycled items including things like roads, trophies and even jackets. But there are still so many items that we can't seem to do much with. At least not anything truly useful. 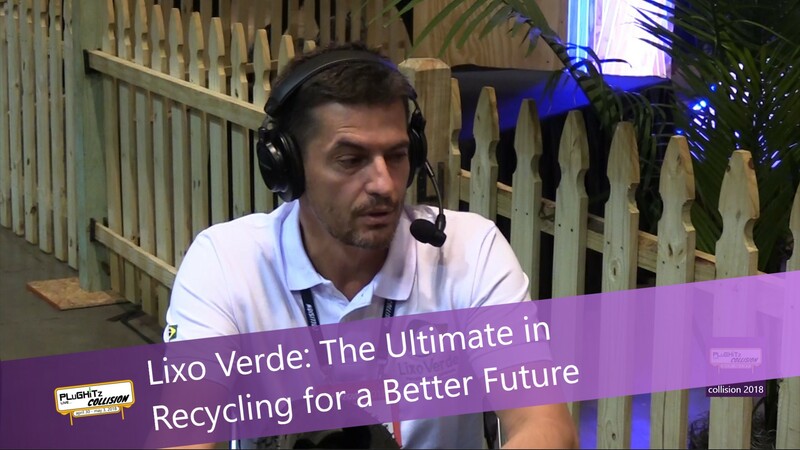 Luis Martinez is the CEO of Lixo Verde, a Brazilian company that is taking recycling to extraordinary new heights. The name itself means green waste. Their intent is to get the waste out of nature. He stopped by our studio at Collision Conference 2018 to give us the details of this amazing process that recycles tires. That's right, tires! And not into playground ground cover or heavy ottomans this time. The company developed a pyrolysis reactor. Basically, they collect the used tires from auto mechanic shops and a chemical reaction occurs inside the chamber of the reactor. Now, you might think that this would have the opposite effect on the environment. But actually, there is no oxygen in the chamber, therefore no combustion inside. The result is a very potent gas and a black carbon powder. The powder goes right back to the industry to make more rubber for tires. And the gas can be used to make energy. This process recycles 100% of each tire. No waste and the materials get sold back for reuse. They are currently focusing on tires, but in the future, the system can be also used for plastics and any petroleum-based materials. They also look forward to someday moving forward with other forms of waste. After you watch the full video to learn more about the process and their two pilot plants in Brazil. You can also visit their website.